The Hague court revokes $50 bln award in Yukos v. Russia dispute - report | Russian Legal Information Agency (RAPSI). MOSCOW, April 20 (RAPSI) - The District Court of The Hague has overturned a lower court’s ruling ordering Russia to pay $50 billion to former shareholders of Yukos, Bloomberg reported on Wednesday. The court admitted that The Hague Permanent Court of Arbitration had lacked competence to review this dispute. Tim Osborne from the GML law firm, representing Yukos shareholders, said: "I confirm that we will appeal this surprising decision. It was Russia that argued for provisional application at the time of signing the ECT and if Russia did not think it was bound by the ECT what did it think it was withdrawing from in 2009?" Russia believes that the The Hague Permanent Court of Arbitration had no right to review the case because the Energy Charter Treaty, which was appealed to during the review of a case, has never been ratified by Russian Parliament. Albert Jan van den Berg, a lawyer who is representing Russia in this case, said that Russian Federation undoubtedly signed the Charter but is not obligated by a contract. 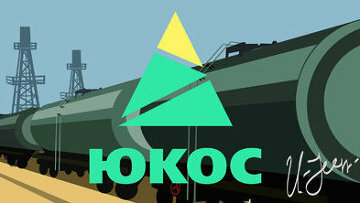 Russian Federation has also claimed that shares of former Yukos co-owners can’t be regarded as investments under jurisdiction of the Energy Charter Treaty. According to representatives of Russia, companies behind the investments have been registered in other countries, but in reality they’ve been front companies created in violation of Russian legislation, therefore the dispute is to be heard in a Russian court. Additionally, Russian Federation believes that the Hague Permanent Court of Arbitration has made several judicial mistakes: it has not consulted tax authorities of Russia, Cyprus and Great Britain during the review of the case and has used flawed methodology to calculate the losses of Yukos ex-shareholders. The Energy Charter Treaty establishes a complex system of rules regulating cooperation in energy sphere between signing parties. Russia signed the Treaty in 1994 but did not ratify it, maintaining nation legislation. A tribunal for The Hague Permanent Court of Arbitration in July 2014 issued awards in three cases filed against Russia. The tribunal ordered that Russia pay Yukos Universal Limited (Isle of Man) over $1.8 billion in damages. Hulley Enterprises Limited (Cyprus) was awarded about $40 billion, and Veteran Petroleum Limited (Cyprus) got over $8 billion. Russian authorities moved to set aside the ruling and turned to the District Court of The Hague. Russia has appealed the ruling. Yukos ex-shareholders turned to several international courts seeking seizure of Russian assets. In June 2015, France and Belgium seized accounts of several Russian companies and diplomatic missions at the request of former Yukos shareholders. 11:21 20/04/2016 The District Court of The Hague has overturned a lower court’s ruling ordering Russia to pay $50 billion to former shareholders of Yukos.